Mechanical engineer, math nerd, Mensa candidate, or whiskey drinker. If any of these descriptions fit the 50th birthday boy or girl, you have just found the perfect gift. 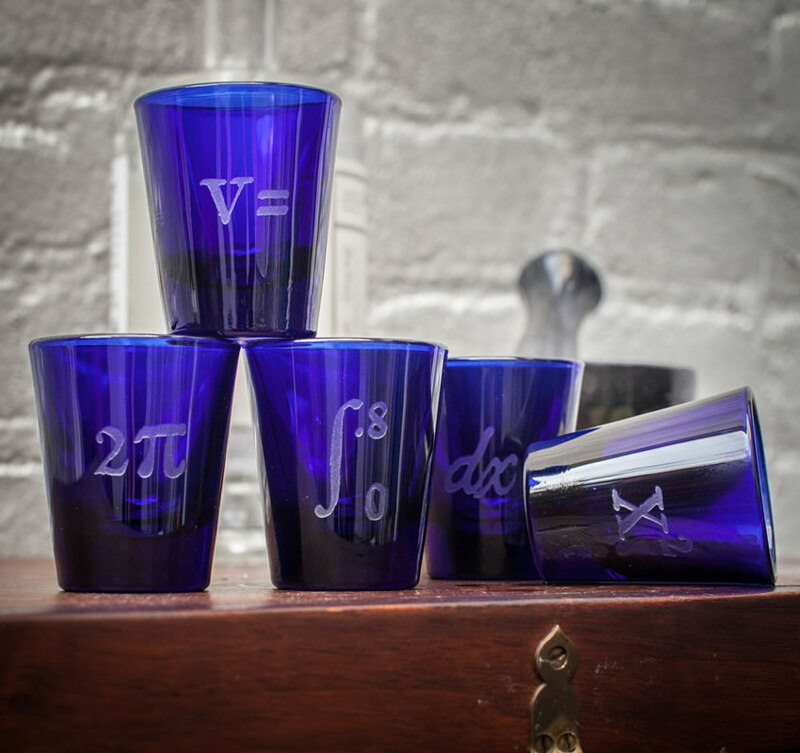 This set of five handcrafted cobalt blue glasses (one for each decade) is from Cognitive Surplus, who celebrate the beauty of science by pairing thoughtful designs with sustainable materials. 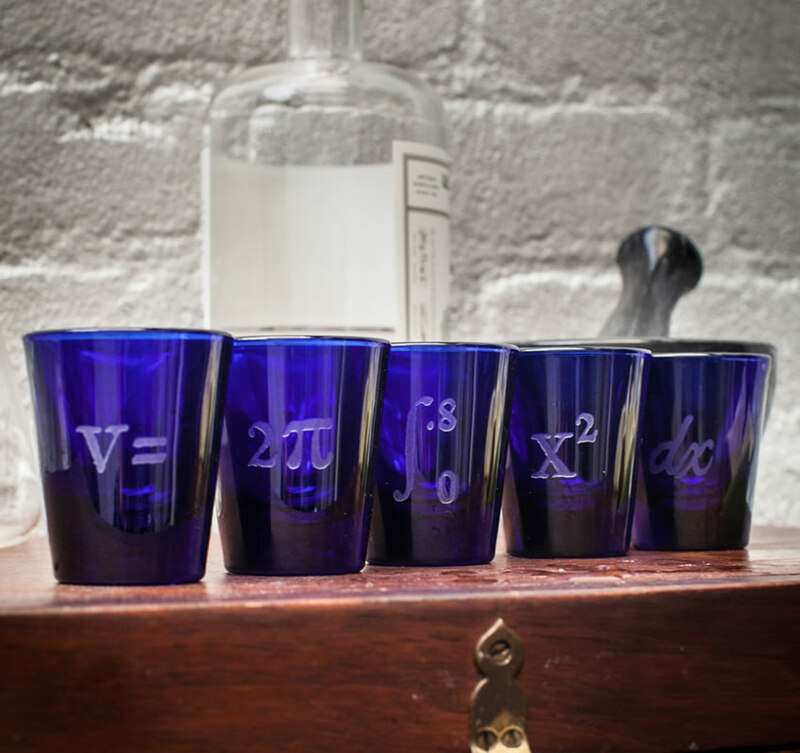 When the glasses are lined up correctly, they proudly display the calculus behind a 1-oz shot. Talk about a drinking problem! Oh, and if ALL of the descriptions fit, our sympathies are with you.